Bend would grow up in a virgin forest and it would be a fine thing to pick upon a suitable location RIGHT NOW for a permanent public park so that when we grow up and become a large sized spot on the map we can invite distinguished visitors to our beautiful city and point with pride to our park system and streets. A wagon train of hardy pioneers stopped one day in 1857 to camp by the Deschutes River in what is now Pioneer Park. Visited only occasionally by white explorers prior to the mid-1800s, the Bend area began to see the arrival of stockmen, lumbermen, businessmen and other settlers. The City of Bend incorporated in January, 1905 with a population of 300. Businesses and private citizens began working with the city to meet the need for public spaces for recreation. Shevlin Park is donated by the Shevlin-Hixon lumber company. The Women’s Civic League led a fight against subdivision of the beautiful site that is now Drake Park. Bend Commercial Club forms a group to develop playgrounds. Known as the “Lava Bears,” the group loans its name to the high school football team for their mascot. First Pet Parade held as part of a three-day celebration that included the Water Pageant. City of Bend takes over Harmon Park from the school district. City forms park advisory committee for park and playground development. City Public Works maintains parks. The city builds a baseball stadium (now called Vince Genna Stadium) on property acquired from Deschutes County. The City of Bend creates recreation department and hires Dave Howard as the first director. Prior, the city had operated summer youth recreation activities jointly with the school district. Wayne Hamilton appointed as new City Recreation Director with two part-time employees. The new department takes over production of the annual Pet Parade. Vince Genna hired as an assistant recreation director by the City of Bend. The Deschutes River Trail was first conceptualized by Vince Genna. His vision was for a trail along the river from Tumalo State Park to forest service lands. Still in the works today, the trail is nearing full connectivity. Bend’s parks and pool continued to be maintained by the city’s public works department until 1964 when the maintenance function was merged with the recreation programs to form a new City of Bend Parks and Recreation Department. Vince Genna appointed as director. Bend Parks and Recreation Department receives the National Gold Medal Award for Excellence in Park and Recreation management. The first year of the award, it is given to the best park and recreation agency in the nation for its population category. Funds are raised by the Chamber of Commerce to send Parks and Recreation Director, Vince Genna, to Washington, D.C. to receive a 30 Best City Beautification Award by First Lady Pat Nixon and Governor Tom McCall. 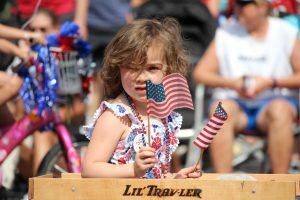 As Bend and the surrounding area continued to grow, about one-third of those participating in park and recreation programs now were non-residents of Bend, yet city taxpayers were the sole support of the department. A proposal from a citizens’ group led to a feasibility study, followed by community meetings, and finally the City of Bend Commission resolved to form a special district with boundaries that included the nearby, rapidly developing, unincorporated areas. The petition appeared on the ballot on May 28, 1974, and the Bend Metro Park and Recreation (BMPRD) District was established by a vote of 983 yes to 541 no votes. First Board of Directors elected to the park district was Dr. Albert Moody, Constance C. Miller, Mary Jane Newton, Robert L. Coats and Leonard Gray. District’s tax base decided by voters. The previous budget for the City Parks and Recreation Department was $200,000. The first section of the Deschutes River Trail, then known as the River Strollway, is dedicated. Vince Genna, Executive Director, retires. For 37 years, Vince relentlessly advocated for parks in Bend, persuading people to donate land, lend equipment and volunteer labor. On his watch, the District acquired more than 1,500 acres of land – through donations, land trades and a law he helped establish requiring developers to dedicate 8% of their subdivisions to parks. The Old Mill District opens to the public. Over the following years, this area will feature four parks, Deschutes River recreational access and numerous miles of trail. Bend Senior Center opens in southeast Bend. Don Horton, current executive director, is hired. Pine Nursery Park land is purchased – requiring two acts of Congress. The District receives its second National Gold Medal Award for Excellence in Park and Recreation management. Juniper Swim & Fitness Center expanded to include 50-meter pool, outdoor activity pool and fitness center. District voters pass $29 million dollar bond measure to help finance Bend Whitewater Park, Deschutes River Trail projects, new parks and The Pavilion, a multi-use ice and recreation facility. With the bond’s help, completion of the Deschutes River Trail comes within reach. The District opens the Bend Whitewater Park, a one-of-kind in-river park, and The Pavilion, which features Central Oregon’s only NHL-sized ice rink. At the national Athletic Business conference, The Pavilion was honored as one of 10 internationally selected Facilities of Merit award recipients. Opsis Architecture, based in Portland, nominated The Pavilion for the design award and shared the honor with the District. In addition, the Bend Whitewater Park was selected as the Oregon Recreation and Parks Association’s 2017 Design Award. The Design Award recognizes superior architectural and/or landscape design and design processes for new or renovated parks or facilities (buildings, parks, park components, trails, etc.) whose construction was completed in the last five years. The District currently maintains and operates more than 2,700 acres of developed and undeveloped parkland. That includes 81 parks/natural areas and 65 miles of trail. 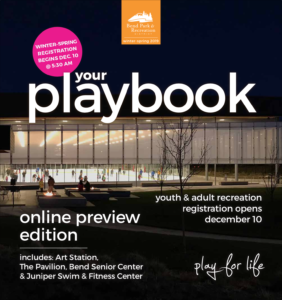 We offer over 1,000 recreation programs for all ages and abilities throughout the area and at the Juniper Swim & Fitness Center, the Bend Senior Center, The Pavilion and the Art Station. 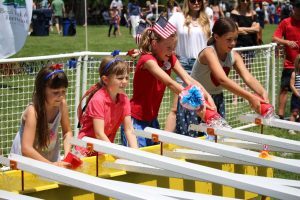 We also hold several community events including the July 4th Pet Parade & Old Fashioned Festival, Let’s Picnic and Days of Play. More than 450 full-time and part-time staff are employed at the District and more than 1,800 volunteers contributed their time to recreation programs, events and parks this past year. Now as much as ever, the District is committed to serving the recreation needs of our community. Parks, trails and facilities are being developed and updated. Bend Park & Recreation District is dedicated to providing the best possible parks, trails, facilities, and programs to the community we serve. 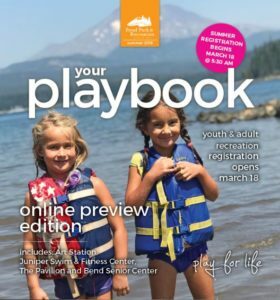 More: See the Naming Bend Parks page to see how select parks were named, or learn more about where we are today on the About Bend Park and Recreation District page. Researched and written by Steve Stenkamp & Paula Lowery. Resources and photo credits include: Bend Bulletin, Bend Park & Recreation District and Deschutes Historical Society.